This is one of the biggest days of your lives and yet, you know it is only the beginning of your adventure. We know your excited about your wedding day and your even more excited about your lives together. We want your day to be memorable and those memories to last forever. We love creating gorgeous heirloom quality wedding albums that will be cherished for generations. We are a full service wedding photography studio and I would love to would love to talk with you about your wedding, hear all about the proposal and just get to know you both. I would be thrilled to meet you in person in my home studio but I know how busy life is :) … so we can always do a phone consult as well! About our Wedding Albums : They are more than a book, they are a family heirloom. 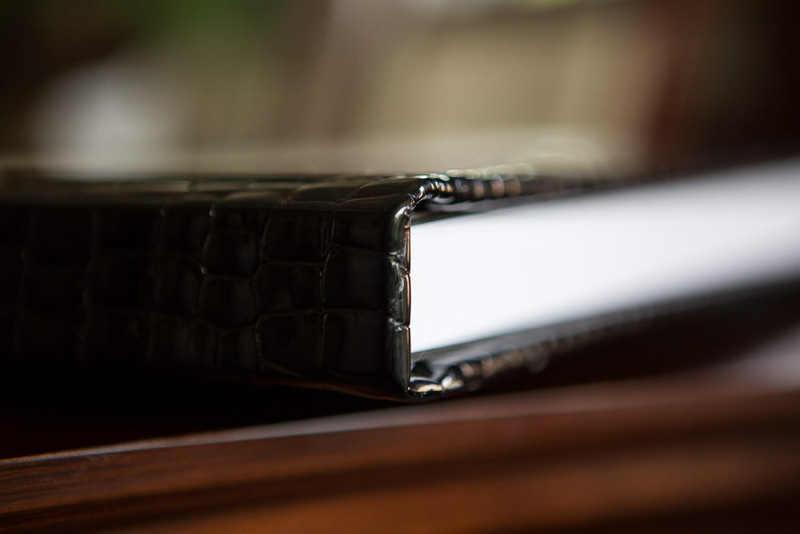 That's why our albums are made with the highest quality leathers and binding materials in the industry. Genuine leather covers, intricate 8-pleat rounded corners, silk headbands and high-quality photographic prints mounted on extra-thick core pages—it’s the details that make our albums exceptional. When you stack a Jon Reindl Photography Album side-by-side with a competitor you will see and feel the difference. Not only in the leather, but in the page and photo quality as well as the durability of the book. Beautiful two-tone leather albums with and "old world" style spine featuring raised hubs, representative of traditional bookbinding masters. The quality of this album will live on for generations to come. 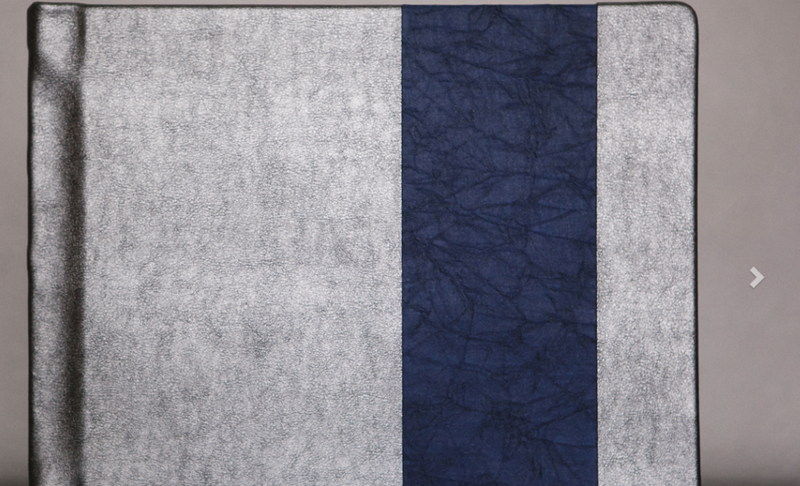 Your choice of many beautiful leathers and fabrics. A clear acrylic front cover panel with a metallic print bonded to the underside. Sturdy, with beautifully finished beveled edges, it is scratch resistant and cleans easily. This elegant cover option is a favorite.